THE Prospex, a retail and office building in the Middle Road near Bugis +, is back on the market, this time with an indicative guide price “in excess of S$70 million” — lower than the S$80 million asking price when the building was previously put up for sale in October 2015. A price of S$70 million translates to S$2,081 per square foot (based on the total net lettable area (NLA) of 33,631 square feet) with a 99-year leasehold tenure with a balance term of about 57 years. Located at the busy corner of Middle Road and Victoria Street and just a stone’s throw from Bugis MRT Station, The Prospex consists of a two-level retail podium (with 4,040 sq ft NLA) and seven levels of offices above (29,591 sq ft). The building is about 85 per cent leased with the top floor and some units on the seventh floor still available for lease. 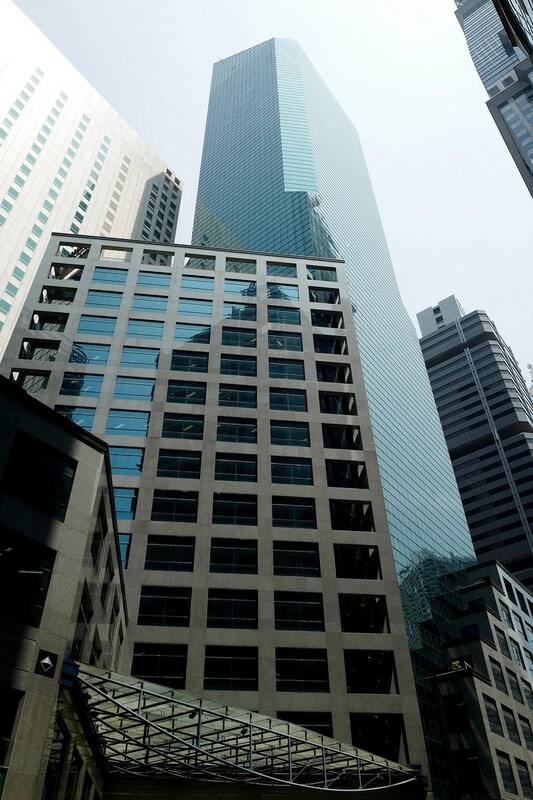 Prospex is being offered by Hong Kong and Singapore-based property fund manager Pamfleet, which bought the former Bright Chambers on the site at S$45 million in 2013 and made major additions and alteration works to the building to achieve its current modern look. The Prospex received a Temporary Occupation Permit in the first quarter of 2016. Tenants in the building include: Shanghai-based Mellower Coffee (which occupies the entire two-level retail podium); 701 Search backed by SPH; and Zrii, an international nutrition company based in Utah. As the property sits on land fully zoned for commercial use, foreigners may buy without regulatory approval . There is also no additional buyer’s stamp duty and seller’s stamp duty for such property. Two commercial buildings, one in Middle Road and the other in Robinson Road, have been put up for sale by tender. Both have retail space, and are near MRT stations. One of the buildings, a 35-storey office tower at 77 Robinson Road, has a total net lettable area of about 294,000 sq ft, including 6,018 sq ft of retail space on the prime street level and 180 carpark spaces. A 35-storey office building in Robinson Road (above) and The Prospex in Middle Road, both in prime areas, are expected to attract keen interest. The property already has tenants, including Adidas Singapore and DVB Bank. DTZ said in a statement yesterday that potential buyers could increase the property’s value by renovating office lobbies, common areas, and expanding the retail area. DTZ noted that OUE Downtown and AXA Tower are undergoing renovations, and the upcoming Tanjong Pagar Centre and Frasers Towers “will inject even more vitality”. DTZ will accept submissions of expression of interest until Oct 15. The other commercial building up for sale is the nine-storey The Prospex, which sits “right in the heart of Bugis”, at the intersection of Victoria Street and Middle Road. The site at 108 Middle Road is near Bugis MRT station, Bugis Junction and the National Library. The building, which has a retail podium of two floors, has a site area of about 5,300 sq ft, with an approved gross floor area of about 41,800 sq ft.
Strata subdivision, with a combined area of about 30,800 sq ft, has been approved. Mr Andrew Moore, chief executive of property fund management Pamfleet Group, noted that there has been tenant interest to rent the office space at about $8 per sq ft, while the retail space could command rents of more than $25 per sq ft. He noted that in the light of recent keen interest in whole commercial buildings, “we expect this property to attract interest from both local and foreign buyers”. The expression of interest for the Middle Road development will close at 3pm on Oct 23.